The role of renewable energy in achieving affordability and sustainability is clear. As coal-fired power stations approach retirement in Australia, renewable generation from wind and solar PV appear to be the most cost-effective options for new energy generation. Wind and solar power now offer the lowest cost of energy, have low ongoing operational costs, and emit the least greenhouse gases across their lifecycle – and therefore hold the greatest potential for rapid decarbonisation of the energy sector. But what about achieving the third element in what has been termed the ‘energy trilemma’: reliability? Replacing coal-fired power stations with wind and solar PV is not a like-for-like swap in terms of availability of power when it is needed by consumers. Coal-fired power stations produce firm baseload power, but generation from renewable resources varies due to the availability of the natural resource. 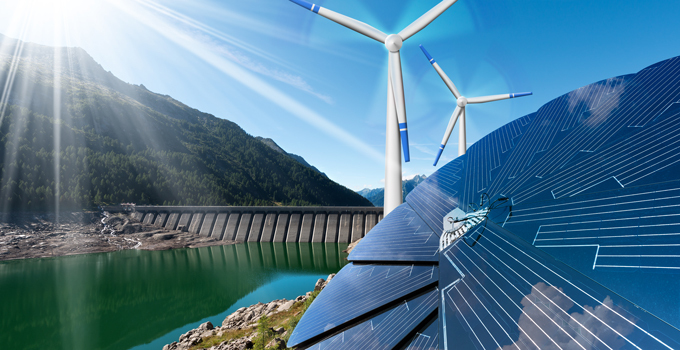 Wind and solar PV power vary according to the weather and the time of day, and even if we consider new hydropower opportunities, most of these are small ‘run-of-river’ systems, the output of which varies with rainfall and the inflows to rivers. Yes, these renewables certainly produce energy, but is the power produced when it is needed? The variability in power from renewables makes matching supply and demand a challenge. This challenge increases as more renewables enter the market. 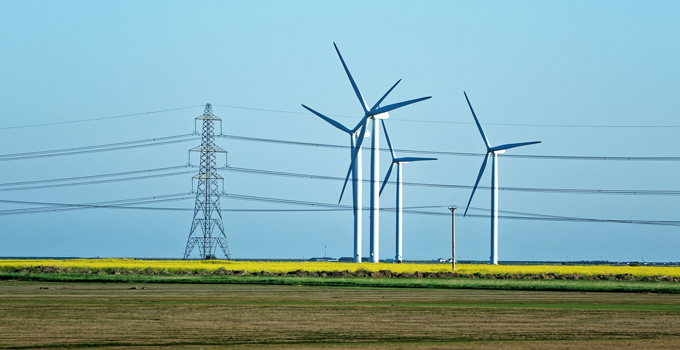 With moderate amounts of renewables, it is still possible to maintain system reliability through clever solutions – in particular, targeted grid support designed through careful planning and study of generation profiles, and supported by solid communications, control, power systems studies and forecasting. However, there is a limit to such approaches, and ultimately Australia will need ‘dispatchable renewables’ in the energy mix to achieve all the elements of the energy trilemma – in other words, renewable generation that is available whenever consumers require it. The time to start planning for this transition is now. For generation to be dispatchable it needs to be available at the request of power grid operators or the plant owner according to the needs of the market. Dispatchable generators can be turned on or off, or can adjust their power output according to market need. If a generator is dispatchable it can be used to match load, meet peak demands, or fill the gap if another generator suddenly goes offline. Dispatchable generation is very valuable to the market because it can be used to match the profile of energy demand. Effectively, baseload fossil fuel generation can be replaced by the combination of variable renewables, dispatchable renewables, smart high-voltage network support and planning to ensure sufficient transmission capacity, and change in use of existing hydropower. How can we make variable renewables ‘dispatchable’? The concept of dispatchable renewables seems almost contradictory: how can something generated from an inherently variable resource be dispatchable? There are two parts to this: the first is to look at how well different wind and solar PV sites naturally work together to firm supply (i.e. how likely it is that dips in one source are filled by peaks in another). Once this is understood, we need to consider how much storage is required to manage residual variability. Storage is critical here as it provides flexibility to store excess or low-value energy for times when it is really in demand. When patterns of renewable generation are highly correlated (in other words, the timing of generation is very similar), more storage is required. For example, if the east coast of Australia develops a very high proportion of solar PV generation capacity, then all of these will be generating within about two hours of each other during the day (because of similar sunrise and sunset times across this region), and not at night. To fully utilise this energy, much of it would need to be made ‘dispatchable’ by adding substantial storage for the night-time hours, or we would need to firm the supply using another generation source, such as a gas turbine. But with a suitable proportion of wind in the mix (and stronger interconnectors to solar generation from other regions), the same dispatchability can be achieved with a more moderate amount of storage. This example demonstrates the importance of achieving a mix of renewable generators to meet the goal of dispatchability. Various studies of generation in the NEM over time have demonstrated that wind and solar generation are not highly correlated. These studies have shown that even with low to moderate correlation, when considered over a large geographical area, a combination of such generators reduces variability and increases reliability of supply. Understanding this effect enables appropriate sizing of storage to create a dispatchable renewable portfolio with maximum value. There will always be some times when multiple generators produce near maximums, as well as some times when both wind and solar produce near minimums; these occasions are not common, but could have significant consequences. This is a risk that needs to be managed by the system. The amount of firm capacity can be increased by over-installing generation, and curtailing its output when there is too much generation. However, there are still those infrequent periods when multiple generators are at their minimum and parts of the grid need extra support. Having this support available during these rare occasions will be critical to managing risk and maintaining reliable supply. This indicates that the mixture of different renewables won’t take us all the way to the goal of achieving ‘dispatchable renewables’; storage remains a critical ingredient. 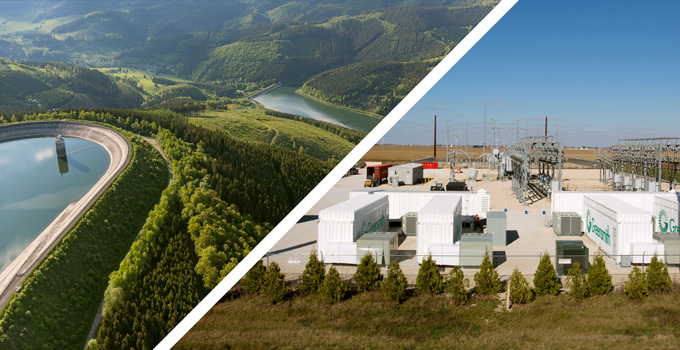 What’s the future for energy storage? The media is awash with reports of new energy storage options. It is important to recognise, though, that different types of storage solutions vary widely in their ability to discharge power over different time frames. Therefore one type of storage will not necessarily deliver the same solution as another type of storage. Understanding this is critical to the concept of dispatchable renewables. The power and duration of the storage are the two key variables in determining the most suitable solution. Low-power, short-term storage is currently more cost-effective using batteries, but longer periods and larger power requirements are likely to rely on bigger storage options, such as pumped hydro energy storage and traditional hydropower. With individual wind and solar plants pushing 1 GW, pumped hydro and modified traditional hydropower solutions need to be considered. Smoothing out the daily variability in renewables can be achieved effectively through pumped hydro, but multi-day storage to supplement periods of extreme events of both low wind and low solar will require traditional hydropower with very large reservoirs. In the long run, short-term storage will not be sufficient alone to achieve the aim of ‘dispatchable renewables’. Achieving full dispatchability of combined wind and solar PV power will depend on utilising pumped hydro storage and existing hydropower storages to their full potential. When will we need dispatchable renewables? The question of when we’ll need dispatchable renewables is complex. It’s driven by a combination of commercial, regulatory and technical considerations as well as changing customer behaviour (all of which are in motion). The short answer is now. 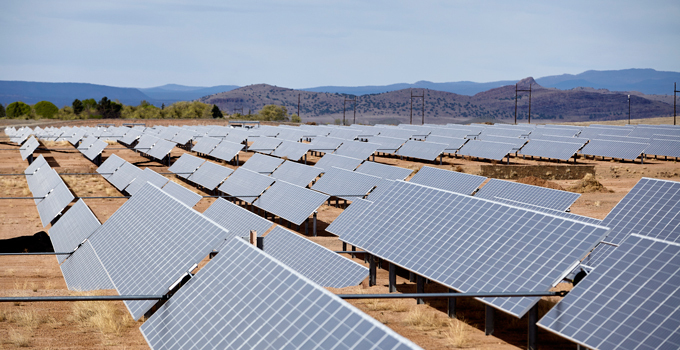 There are already isolated opportunities in which dispatchable renewables offer distinct advantages, and where the business case may stack up. With increasing wind and solar PV developments in the network without dispatchable capability, such opportunities will only expand. However, the lead time required to include large-scale storage in these ‘dispatchable renewables’ projects means that planning must begin well in advance. If you would like to discuss how Entura can help you explore potential opportunities for dispatchable renewables, please contact Alan Barrett on +61 437 102 756, Richard Herweynen on +61 3 6245 4130 or Chris Blanksby on +61 408 536 625. Richard Herweynen is Entura’s Principal Consultant in Civil Engineering. Richard has 28 years of experience in dam and hydropower engineering, and has worked throughout the Asia-Pacific region on both dam and hydropower projects. Richard was the Project Director of the Kidston Pumped Storage Project Technical Feasibility Study and, in recent years, Richard has led the design of three roller-compacted-concrete dams within Australia and a number of significant dam upgrades. Richard was part of the ANCOLD working group which updated the guidelines for concrete gravity dams, and is the Chairman of the ICOLD Technical Committee on Engineering Activities in the Planning Process for Water Resources Projects. Richard has won many engineering excellence and innovation awards, and has published over 30 technical papers on dam engineering. Dr Chris Blanksby is a Specialist Renewable Energy Engineer at Entura, and Entura’s lead solar energy specialist. He has undertaken and published research on the solar resource in Australia, and has led several due diligence and owner’s engineer projects for wind, solar and microgrid projects in Australia, the Pacific and Asia.